If you’re looking to make a long-distance move, you’re probably excited and stressed out at the same time. The prospect of packing up in one area and unpacking in a totally different area can be draining. Plus, when your new home isn’t located across town, it can be difficult figuring out just how much of your stuff will fit into your new home. If you’re moving to a home in the northeast, in particular, it’s important to take a long look at your larger items and determine whether they should make the move with you. Yes, this can be a daunting process. Still, the earlier you can make informed decisions, the easier your move will be. Let’s look at some factors in this process. Whether you’ve actually taken an in-person look at your new home or not, you’ve probably been told what the square footage is. Still, it’s important to remember that two 1,500 square foot homes can differ greatly, particularly in the northeast. Even if the square footage is the same, some homes might be able to hold more furniture than others. This should be the most important factor in your decision whether or not to downsize your possessions. Homes in the northeast were built during many different eras, and they don’t tend to share a common floor plan model. Some homes have narrow, winding hallways and many separate rooms while others might have a more open living area. The layout could make all the difference in how large items might fit into your home. The northeast is the oldest mass-populated region in America. Many cities have been around since the before the days of George Washington and Benjamin Franklin, and several residential neighborhoods have existed since the time when horses were the preferred mode of travel. In general, homes in these neighborhoods are narrower than ones that have been built more recently. That could mean they’re more difficult to fit a lot of large items into. 4. How many stories are in the home. Many homes in the northeast have multiple stories, including a basement. Although this setup might sound ideal for storing a lot of large items and furniture, it’s important to consider how each floor is laid out. Plus, you’ll want to make sure you can get those items onto each level of the home without much trouble, since there’s nothing more frustrating than being trapped with a piece of furniture at a sharp curve in a hallway or on a narrow staircase. 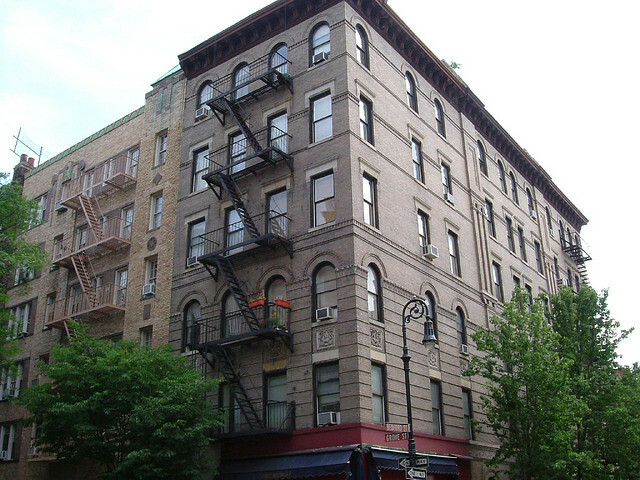 Some multi-story homes in the northeast are divided into separate units. Figure out exactly how much of a home you’ll actually have access to before you make any decisions on downsizing. Many houses and apartment buildings in the northeast are designed to fit into the neighborhood they were built in, instead of the neighborhood being designed around the buildings. That means garages that can house the Space Shuttle and 40 acre backyards might not exist with these homes. The sides of these houses might also be within inches of edge of the property. As a general rule, you won’t be able to fit large items such as furniture through the front door with relative ease, don’t bring them with you. You might not be able to bring them around the back of the home. There’s really no set rule for apartments in the northeast. While several suburban areas do have apartment complexes that are similar to those found all over the country, some are still not optimal for fitting lots of furniture into the floor plan. Of course, apartments in northeastern cities such as New York are known for their relatively confined spaces (and high rents). 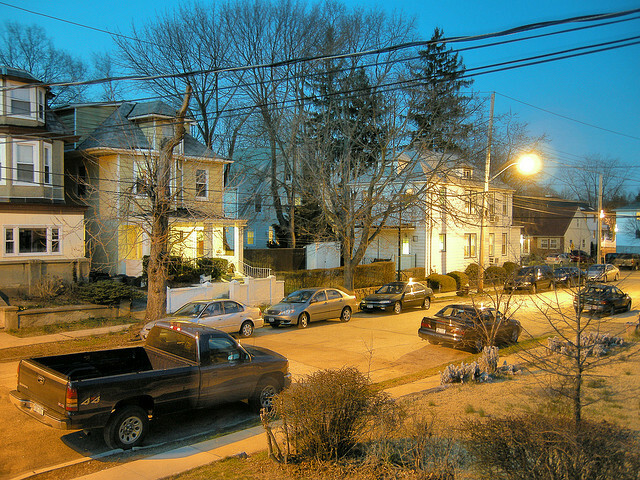 Small one-bedrooms and studio apartments are also commonly found in Boston, Philadelphia, Baltimore and Washington, D.C. Even if an apartment is spacious, if might be tough to move a lot of furniture in easily. Some urban apartment buildings are walk-ups — they only have narrow hallways and multiple flights of stairs connecting the building entrance to apartments. Obviously, this setup makes moving any furniture a logistical nightmare; moving many large items into one of these apartments is essentially impossible. If you’re moving to an apartment in a northeastern city, say goodbye to most of that bulky furniture and prepare to get creative. Overwhelmed yet? Well, don’t be. Either take a look at your new home or have a realtor or leasing agent send you multiple photos and measurements for every angle of the space you’ll be moving to (both inside and out). This will help you make an informed decision on what to keep and what to get rid of long before that moving truck gets loaded. When in doubt, think small. Remember, it’s always easier to buy more things to fill some extra space in a home than it is to get rid of anything that doesn’t fit when you move in. If you’re looking to make a long-distance move to a home in the northeast — or anywhere else across the country — look no further than Garrett’s Moving and Storage. We’ve moved thousands of customers since 1992, and we’ll make sure your possessions get from your old home to your new home securely. To get a free moving quote, click here or call 972-487-5843. This entry was posted in Stress Free Moving Tips, The No Pack List and tagged downsizing, long distance move, move to a home in the northeast. Bookmark the permalink.